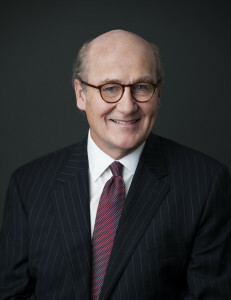 Douglas A. Campbell is a founding Member of Campbell & Levine. Doug’s practice focuses on counseling and representing individual and business clients with regard to managing issues and disputes related to financial obligations and the control of closely held businesses, as well as multi-billion dollar asbestos-related personal injury settlement trusts. In matters involving insolvency, bankruptcy and debtors’ and creditors’ rights, Doug is recognized regionally for his development of creative practical strategies for workouts and restructurings. Doug drafted, negotiated and obtained court confirmation of a plan of reorganization for one of the first asbestos manufacturers to emerge from Chapter 11 (while representing a creditors’ committee), and for the Pittsburgh Penguins in 1999 (while representing the team’s major unsecured creditor, Mario Lemieux), which kept the team in Pittsburgh, controlled by his client.